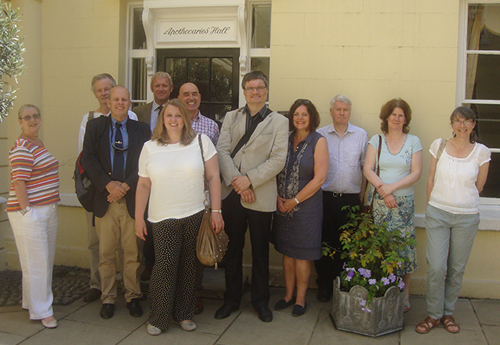 Today marks the 5th anniversary of the founding of London Historians. 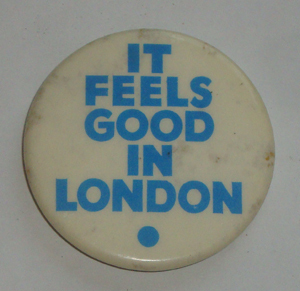 The first London Historians member card. Somerset House. I’d like to thank every single member who has joined us in that time. I’d also like to thank all the friends we’ve made at museums, libraries, historic buildings, local history societies and other heritage groups, the London Topographical Society, to pick a random example. Curators, librarians, authors, academics, genealogists, archaeologists. And tour guides, a special mention for them: there are several dozen among our membership which now stands at 520. I wonder if we can make that 600 in 24 hours? SPECIAL OFFER NEW MEMBERS. This Day Only, ends midnight. If you’re a non-Member reading this and would like to take the plunge, we commemorate this anniversary with a £10 discount on joining. 24 hours only! Please proceed to this page. (for “Qualifying Group”, please put LH5). Here are some highlights, events, memories. 26 August. London Historians founded with web site and bank account. 2 September. First blog post. Not very exciting! 8 September. New member cards designed and ordered. 20 September. Our first paying Member! Early member newsletter web site articles in 2010 by Brian Cookson, Russ Willey, Emily Brand, Lucy Inglis and Christian Wolmar (yes, the transport guru and current London Mayoral candidate). Historian, Blue Badge Guide, author Brian Cookson. He wrote our first article and in 2011 conducted our first guided tour. 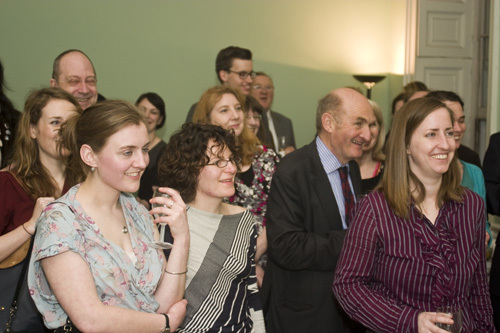 15 March: Our launch party at the Georgian Group HQ in Fitzroy Square. 31 March. Our 100th Member. Take a bow, Essie Fox! Weds 4 May. First ever monthly pub meet-up at Ye Olde Cheshire Cheese. (now Hoop & Grapes, Farringdon Street). Three members show up. This event has run on the first Weds of the month unbroken ever since, now attracting dozens of members and guests. So we’ve had 52 at time of writing. 21 May. Our first guided walk under LH banner, and led by LH Member, Brian Cookson. 28 July. Awayday trip and conference in Bath organised by LH Members from Bath Spa University led by Prof Elaine Chalus. 18 September. Tour of Kensal Green Cemetery. 21 September. Our first History in the Pub. Unthemed. Speakers Lucy Inglis and Prof Jerry White. Live music from Ruairidh Anderson, quiz by Matt Brown. Matt continues as our MC for all subsequent History in the Pub events. 30 November. History in the Pub 2. Unthemed. Speakers are historian Nigel Jones and Prof Tim Hitchcock. Live music from Ruairidh Anderson again and Henry Skewes. 17 December: Art and the City. Tour of some Wren churches and the Guildhall Art Gallery, let by LH Member Colin Davey. Members and guests and our launch party. 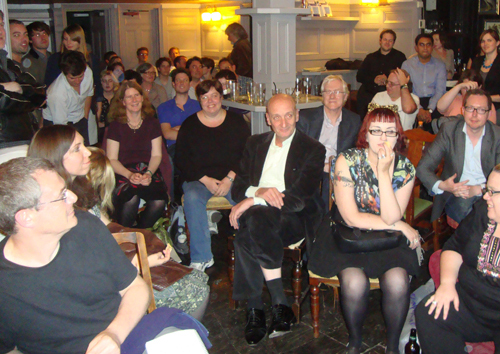 Audience at our first History in the Pub. 7 February. We witness the opening of The Trial of the Pyx. 10 March. Visit to Whitechapel Bell Foundry. We repeated the exercise in 2015. 13 March. History in the Pub 3: sounds of London. Our first themed effort. Featuring archivists from BBC, British Library and Wellcome Library Terrific. 25/26 April. Two behind the scenes visits to the Parliamentary Archives, led by LH Member Caroline Shenton. Wonderful. 1 May. Behind the Scenes at Kew National Archives. We repeated this tour in 2013. 5 May. Visit to Turner’s House and Marble Hill House. 17 July. History in the Pub 4. Theme East London. 25 July. Member tour of Fulham Palace. 16 August. Member tour of the Supreme Court. October. History in the Pub 5: Fire. Member tour of London Archaeological Archive and Research Centre (LAARC), Oddities of the Strand walk with LH Member Peter Berthoud. Blog summary. 25 November. Pub meet-up to celebrate Henry Mayhew’s bi-centenary. 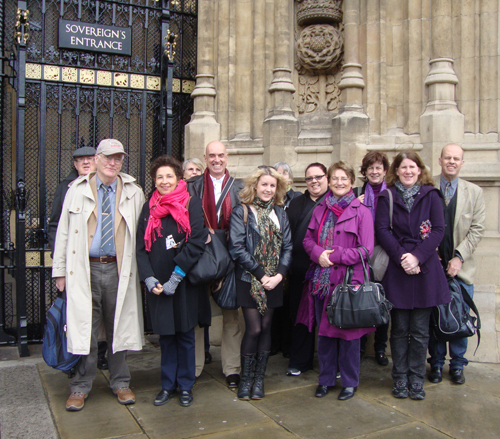 One of two group visits to the Parliamentary Archives. Behind the scenes at the National Archives, Kew. Oddities of the Strand guided walk. 13 January. Sold-out panel conference to celebrate 150 years of the Tube at London Transport Museum. 12 March. Behind the scenes member tour at the Wellcome Library. 16 April. Member tour of Tower Bridge, including bascule chamber. 20 June. Member guided walk of the Caledonian Road with LH Member Rob Smith. Flickr album. 27 June. Curator-led member tour of the Government Art Collection. 9 August. 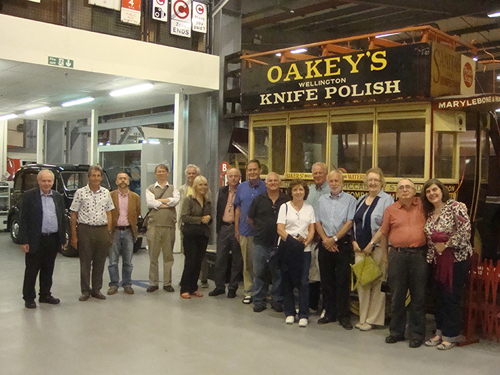 Member tour of London Transport Museum Acton Depot. 16 August. Awayday curator tour of Watts Gallery, Guildford, with lunch. Flickr album. 18 August. 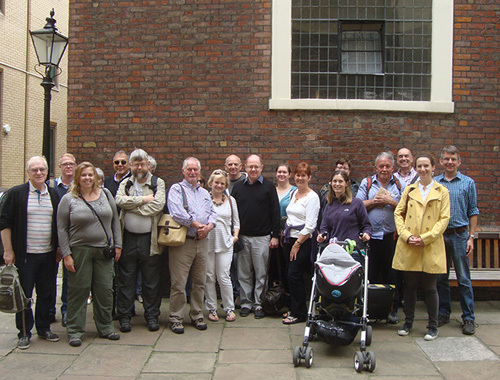 Guided walk of Jewish East End and Bevis Marks Synagogue with LH Member Clive Bettington. 2 September. Exploring the Thames forshore with Thames Discovery Programme. 7 September. Walk Every Street in Soho with LH Member Peter Berthoud. 12 September. Lecture and member tour of London Metropolitan Archives. 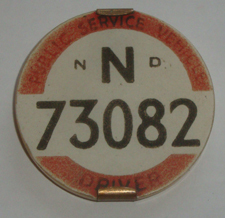 25 September. Coroner’s Inquest historical re-enactments at the George in the Strand with Univerisity of Herts. 26 September. Petty Sessions historical re-enactments at the George in the Strand with Univerisity of Herts. 10 October. 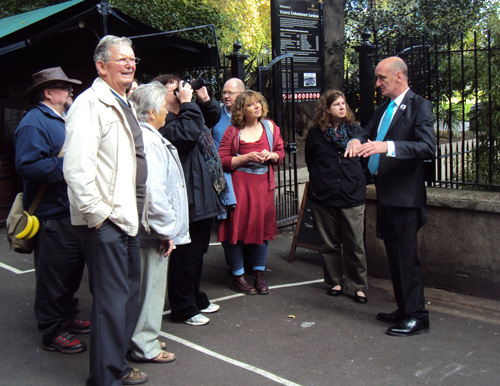 City of London Slavery walk led by LH Member with LH Member Will Pettigrew. 18 October. Macdonald Gill curator private view at Pitzhanger Manor. 14 November. History in the Pub. Theme: London’s Street Poor. 19 November. Bollards, Breweries and Bullets. Conference at the National Archive, Kew. 13 February. Member tour of the Royal Courts of Justice led by LH Member, Colin Davey. 26 February. Curator-led member tour of Georgians Revealed at the British Library. 5 March. Curator preview of Brits who Built the Modern World at RIBA. 14 March. Curator-led member tour of the Royal Institution with Charlotte New and Laurence Scales. 20 April. Behind the scenes at HMP Wandsworth and private museum, led by a serving prison officer and LH Member. 25 April. Curator-led tour of Bank of England Museum. 29 April. History in the Pub. Theme: Beer, Pubs and Breweries incl. LH Member Martyn Cornell. 16 May. Walking tour of St Katharine Docks and Royal Foundation led by LH Member Chris West. 29 May. Archivist-led member tour of Westminster School. 12 June. 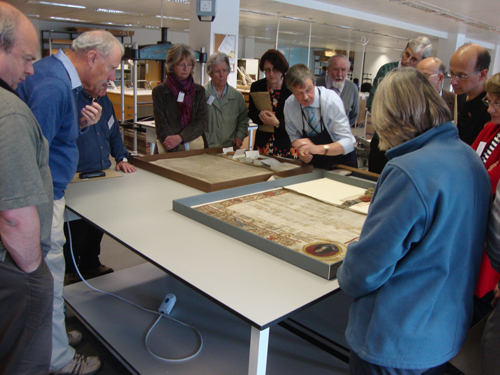 Behind the scenes exclusive member tour of British Library map collection with Peter Barber. 18 July. Member tour of Apothecaries’ Hall. 19 July. Walking tour of Industrial East London and House Mill led by LH Member Rob Smith. 29 July. History in the Pub. Shakespeare’s Local. Author talk at the George Inn, Southwark. 13 August. Member tour of the Government Art Collection. 22 August. Excl. member tour of Sutton House. 27 August. 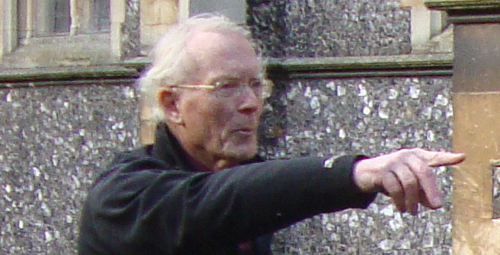 Walking tour of Smithfield and Bart’s Hospital and churches, led by LH Member Peter Twist. 4 September. 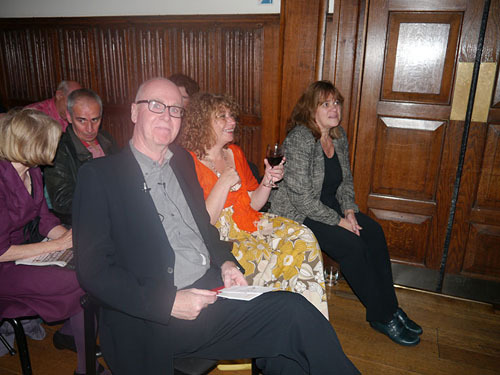 LONDON HISTORIANS INAUGURAL LONDON LECTURE. Barnard’s Inn Hall, Gresham College. LH Member Adrian Tinniswood OBE on Christopher Wren, Extraordinary Genius. 3 October. Post Office Big Day Out. Storage Depot in Debden and Heritage Library, London. 12 October. History in the Pub. Theme: History OF the pub. 13 December. Member tour of BBC Broadcasting House. More on Flickr. 16 December. Private view and wine reception, Hogarth’s London exhibition, Cartoon Museum. Adrian Tinniswood about to deliver the inaugural London Historians Annual Lecture. The theme for the year is the City of London’s Livery Companies. 8 January. Member tour of the College of Arms, led by the Windsor Herald. 16 January. Member tour of Merchant Taylors’ Hall. 24 February. Member tour of Cutlers’ Hall. 3 March. History in the Pub. Theme: Sport in London with Simon Inglis and Clive Bettington. 6 March. Member tour of Drapers’ Hall. 21 March. Supper at Yeoman Warders’ Club, Tower of London and Ceremony of the Keys. 17 April. Member tour of Stationers’ Hall. 21 April. Site visit to Crossrail archaeological site at Liverpool Street Station. 24 April. Derelict London walk and St Dunstan’s Stepney tour with Paul Talling and Dave Whittaker. 9 May. 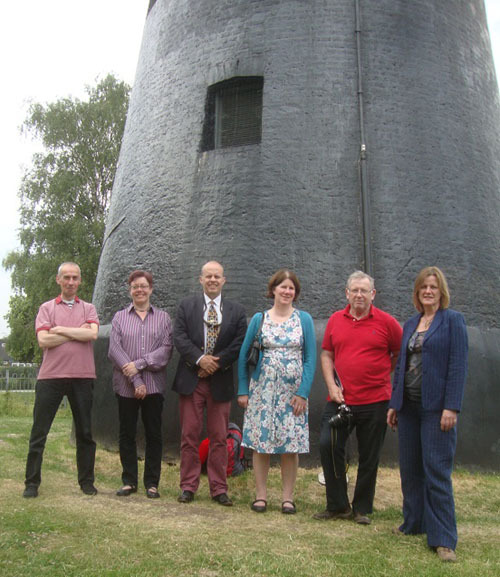 Member tour of Boston Manor and guided walk to historic Brentford. 20 May. Seminar at Information Technologists’ Hall. Heraldry and Regalia of the City of London and Livery, by LH Member Paul Jagger. 12 June. Brixton tour. HMP Brixton and Brixton Windmill. 14 June. Walking tour. Battle of Waterloo commemoration. 20 June. Member tour of Whitechapel Bell Foundry. Our second visit. 29 June. Member tour of Watermen’s Hall. 11 July. Walking tour of industrial Woolwich with Laurence Scales. 21 July. History in the Pub. Theme: Inky Fingers – London and the Press. 24 July. 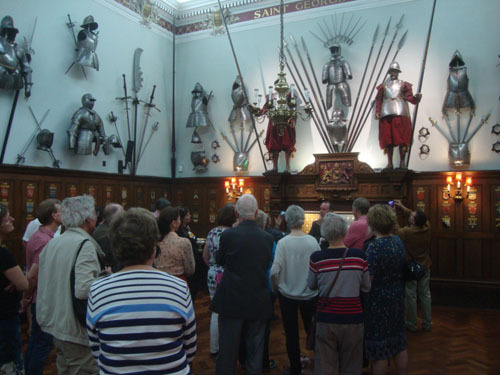 Member tour of Armourers’ and Brasiers’ Hall. 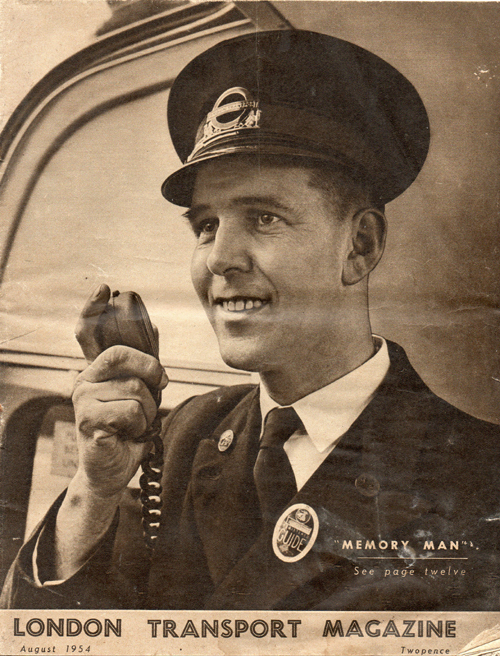 Stanley Gardner (1911 – 1991) was London Transport’s first ever heritage guide, known among colleagues as the Memory Man. 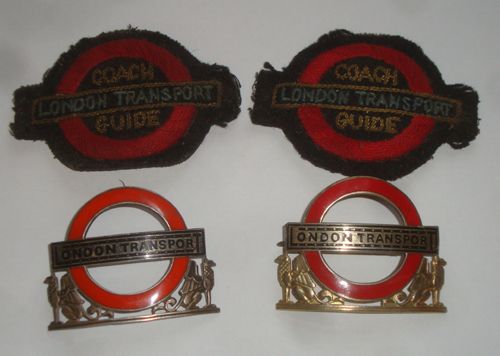 In addition to the magazine were a number of personal effects: London Transport badges, cloth and enamel; two enamel tour guide badges from the British Travel Association and the London Tourist Board; Stan’s PSV Driver badge; a button badge with the legend It Feels Good In London (and who can argue with that?). 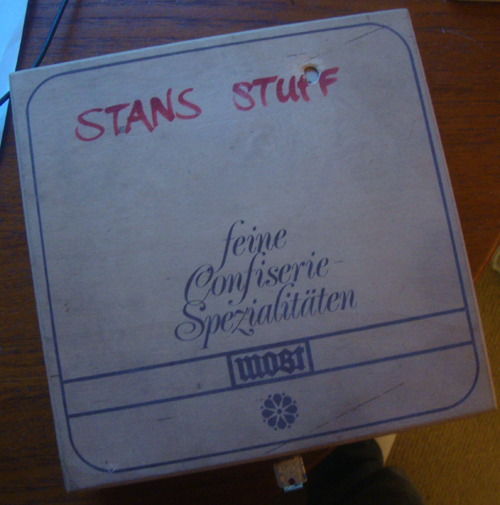 Best of all, I think, is Stan’s Record of Service Card. 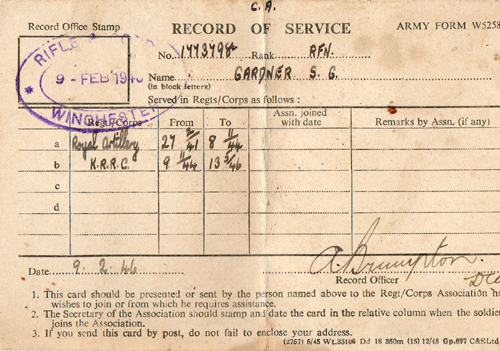 It shows that he was once a rifleman, army number 1773798. He served in the Royal Artillery from February 1941 to November 1944, and from then until May 1946 with the King’s Royal Rifle Corps. 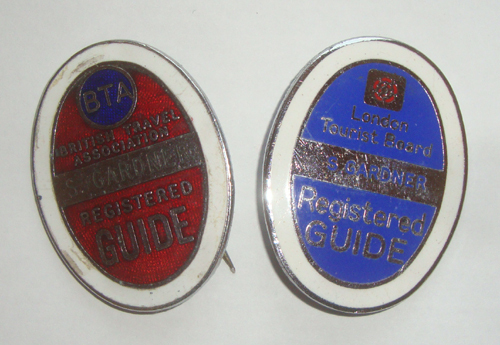 We have many guides among the London Historians membership. It is therefore a humbling privilege to have in our possession these personal items of an illustrious predecessor. We shall take great care of them and as soon as we’ve had a chance to go through the slides, we’ll report further. My thanks to Graham Gardner for trusting us with the care of his father’s effects.